Performing a changeover is hard. Improving a changeover is even harder! It's a huge accomplishment to reduce changeovers on an injection molding machine or stamping press from 2 hours to 1 hour. This 50% improvement will make a direct impact to the bottom line! But going from 1 hour to half an hour is harder. And what about the next 50% improvement to 15 minutes? All the low hanging fruit is gone and the impact isn't as noticeable. The law of diminishing returns is a harsh mistress! Shigeo Shingo coined the term SMED, or Single Minute Exchange of Dies. Changing a mold in one minute seems ludicrously unattainable for someone doing it in an hour, but Toyota changes dies in less than a minute, and so do many other manufacturers. And they keep trying to get even faster! Toyota understands that changeovers are key to reducing inventories when using general purpose equipment. The more you can change, the less inventory you have to hold. But, more importantly, Toyota understands that continuous improvement never stops! Goals that seem unbelievable to some are embraced by Toyota. These aren't just your average stretch goal. They choose sensible business goals that are backed by a solid plan. The plan may not be achieved in one day, but by focusing on true north, all activities are directed to the same goal. Formula 1 pit stops are a frequent example to talk about when planning changeover reduction activities. Using team work, specialized equipment and preparation, crews have reduced Formula 1 pit stops to mere seconds. The racing teams know that, in this sport with virtually no passing, the team with the fastest pit stop has a huge advantage! That's why they continue to strive for each second! The video below shows the evolution of Formula 1 pit stops over the last 60 years. Not only is the video a good way to motivate SMED teams, but it's a great example for showing continuous improvement in general! It's almost painful to watch them change tires in the 1950's! If you can't see the embedded video above, you can click here to watch it on youtube. 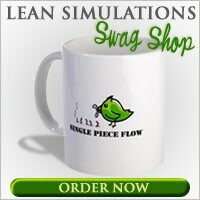 I've added this video to my list of helpful lean videos. One of the best article i have seen. This is really amazing.